Dr. Stephen Spann, founding dean of the College of Medicine, and Renu Khator, president of the University of Houston, presented at the Texas Higher Education Board hearing on Oct. 25, 2018. The Health 2 building serves as a temporary home to the College of Medicine for three planning years and the first two years of initial enrollment. The Texas Higher Education Coordinating Board (THECB) unanimously approved today a Doctor of Medicine (MD) degree for the University of Houston, moving the UH College of Medicine one step closer to training more primary care doctors to practice in underserved urban and rural communities. Texas faces a critical primary care physician shortage and ranks 47th out of 50 states in primary care physician-to-population ratio. The UH College of Medicine aims for a minimum of 50 percent from each graduating class to specialize in primary care compared to the national average of about 20 percent. There are several critical steps remaining before the College of Medicine can open its doors to students. In December, the College of Medicine will submit its application for accreditation with the Liaison Committee on Medical Education (LCME), the federal accrediting body for medical degree programs. In January 2019, UH will seek $40 million in appropriations over 10 years from the Texas Legislature, approximately eight percent of the total $450 million in funding sources. The remaining startup costs include private support, intellectual property revenue, institutional funds and private/public partnerships. To date, UH has raised $35 million of $40 million in private philanthropy for the college. 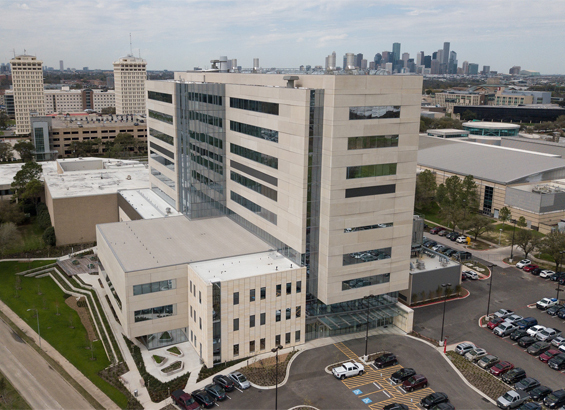 The University is finalizing a partnership with HCA Houston Healthcare, the largest hospital company in the nation, to bring a total of 389 new resident positions to the College of Medicine over its first six years. Earlier this week, UH released a video featuring prominent leaders in health care and business acknowledging the need for a new college of medicine in Houston that leverages existing clinical, academic and research programs to create it.